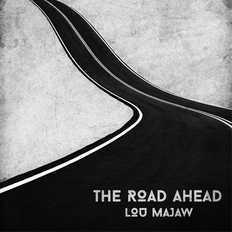 Lou Majaw | OK Listen! 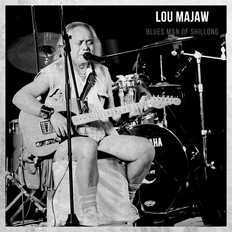 Born in Mawlai,Phudmari ,Shillong on the 14th of April 1947 Lou Majaw 's first encounter with the guitar was in 1955 at The Sacred Hearts Boy's Boarding School.Moving on to DonBosco Technical School in 1959 to learn tailoring he spent the next three years till 1962 as part of the school band playing guitar and side drum,genis,Sax and Trumpet in the School Orchestra. In 1965 he found himself with an opportunity to travel and headed to Calcutta.After initial hardship he was soon playing in Park Street,then the Mecca for musicians in India. The Bands that he played with and sang for were Little Richard and the Small Frys and Oracle Bones.Seeing his potential as a solo draw Mr.Joshua the owner of Trinca's gave him a stage name Louis Lewis and a solo spot.This is where Lou Majaw started honing his craft as performer and player. This was also a time when so much was happening in the world of Rock and Roll and Rock was born,the singer songwriter became the norm ,new sounds were being created and the electric guitar was going places beyond the imagination of most people.All these sounds were an inspiration to anyone in the music business at the time and soon Majaw was beginning to write songs. In those few years in Calcutta everything had changed drastically in the world of music worldwide and so in Majaw. Having absorbed what he could from all that came his way Majaw decided to head back to Shillong with his new found knowledge and learning.Then came the spate of bands that he spearheaded,The Fentones ,Super Sound Factory,Blood and Thunder,Sons of Adam,Eleventh Commandment the Underdog Band,Autumn Dogs,Great Society,Meghalaya Love Project and currently Lou Majaw and Friends. Great Society ending up as the band where most of his material took final shape. Having started writing songs ,one of his true masterpieces "Across the Sea of Sorrow" was penned towards the end of the 60's. The songs kept coming and they were all a vision of life as he had experienced. There are many musicians from Shillong who got their start with Majaw and went on to cleave a path in the world of music on their own. Since the 60's Bob Dylan was a great source of inspiration in the way he wrote lyrics and Majw has for the last many years done a Dylan Birthday Celebration in Shillong on Dylan's Birthday to acknowledge this debt. Currently Majaw perfumes his material either solo or with Lou Majaw and Friends and keeps up the Dylan Birthday Celebration. Lou Majaw's contribution to the state of Meghalaya, the musicians of Meghalaya and popular culture remain unparalleled. Great Society-Dir,Shivajee Ashim Das,Forever Young-Dir:Ranjan Palit,Guns and Guitars-Dir:Bidyut Koyoky, Who is Lou Majaw-Dir:Novelina Barua. Music Award for theatre- To Each His Own- 2003-2004,The Jack Daniels Years of Excellence Award from Rolling Stone Magazine for the year-2011,Plaque of appreciation given by Prasar Bharati Doordarshan Shillong for his invaluable contribution to western music in Meghalaya,Felicitation from Surja Silver Jubilee Year-1984-2009,Award for contribution to music and culture from J.M. Strings Shillong-2003,besides this he has been requested to appear as speaker on Media Seminars by Footprints and Media Mindprints,Guest of honour at the Arunachal Guild for Cultural Integration in association with The Dept of art and Culture Arunachal Pradesh.